An old fashioned musical with plenty to celebrate but also some prolonged stretches of mediocre inspiration, The Band Wagon is worth jumping on but parts of the ride are bruising. Tony Hunter (Fred Astaire) is an ageing Hollywood entertainer, written-off by the critics. With no new movie projects coming his way, he accepts an invitation by his east coast friends, married couple Lester and Lily Marton (Oscar Levant and Nanette Fabray), to appear in a stage musical. 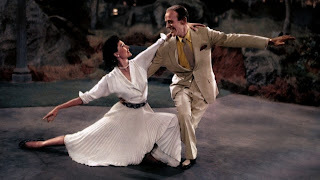 The celebrated and egotistical Jeffrey Cordova (Jack Buchanan) is chosen to direct the show, and after convincing ballerina Gabrielle Gerard (Cyd Charisse) to play the female lead opposite Hunter, Cordova transforms the production from a light-hearted musical to a dark Faustian drama. Hunter and Gerard get off on the wrong foot and stay there for a long time. She thinks that he is too old; he believes her to be a stuck-up ballerina. They make up just in time for the new show to premiere, and the colossal failure of Cordova's vision forces Hunter to take charge in an attempt to rescue the production by re-capturing the original fun-oriented spectacle. The Band Wagon has three magical moments. The introduction of the song That's Entertainment into movie folklore is the liveliest sequence in the film's rather trudging first hour. The second pulse elevator features Astaire and Charisse finally making peace with each other and dancing through Central Park in white after a harmonious horse carriage ride. The final highlight is part of the finale, the quite brilliant Girl Hunt Ballet, a slick film noir sequence one generation ahead of its time and which would go on to inspire the new school of dancers and choreographers, not least Michael Jackson and his series of slick 1980s videos. These scenes give the movie a huge boost, but the rest of the experience is somewhat of a let-down. The other songs are distinctly unmemorable, the overrated Triplets sequence is a lot more creepy than pleasant, and overall, there is too little of Charisse, her charisma, dancing skills and knock-out legs muffled under a clumsy storyline that takes forever to shift out of first gear. Oscar Levant and the energetic Nanette Fabray come across as tired and underutilized respectively. 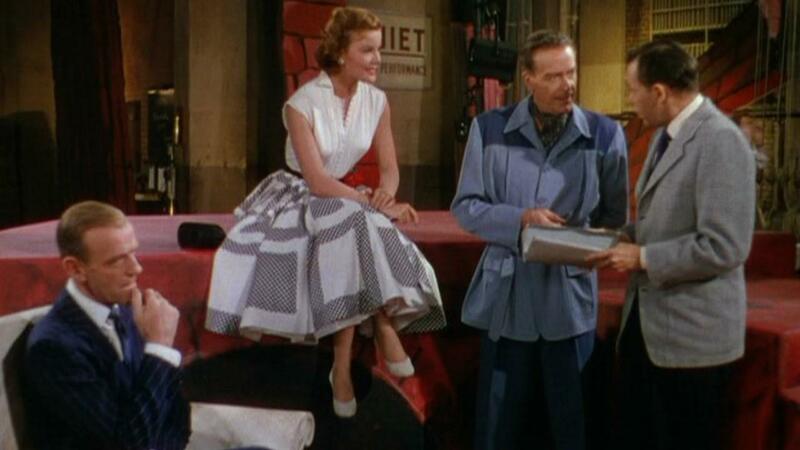 Regardless of the deficiencies, director Vincente Minnelli adds gloss and many arresting visual touches. The Band Wagon is always a colourful feast, whether in recreating New York's theatre district for Shine On Your Shoes, or in the grand Cordova mansion, where the many doors are used to good humorous effect as Jeffrey gives a hyper animated summary of the Faustian play to a group of enthralled financial backers. 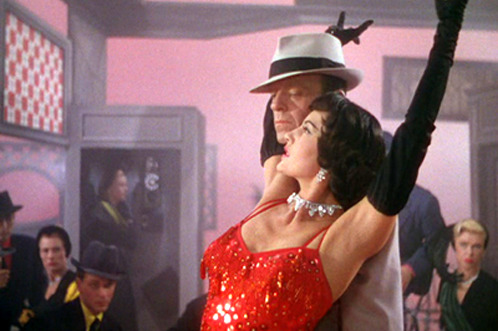 As can be expected from the genre, The Band Wagon largely abandons swaths of plot and logic as it progresses towards an all-singing, all-dancing climax, and leaves unanswered questions related to Cordova's sudden loss of self-admiration and the never-fully-coloured-in relationship between Gerard and choreographer Paul Byrd (James Mitchell). The road is sometimes rough, but star power and strong production values help to pull The Band Wagon through the muddy patches.